Canada is a country with more than her fair share of lakes. In reality, eight percent of the country’s landmass is covered by the fresh water bodies. That’s a fact which puts Canada in prime position on the list of countries with the most surface area covered by lakes. Lakes are beautiful and just as environmentally important as oceans, yet they remain pretty much uninvestigated. Yes, data is available on how big they are, what their depth is and there’s plenty of information on estimations of their volume. We know they play an important part in the hydrologic cycle, but what exactly lies beneath the waters is pretty much a mystery. The world takes lakes for granted. We shouldn’t. Lakes are amazing. If you really want to see lakes in all their true natural glory, Canada should be your number one place to visit. Check out the most incredible fifteen here and you’ll start to wonder why you haven’t been there sooner. Wedgemount Lake nestles just below Wedge Mountain in the Garibaldi Mountain Range in British Columbia, Canada. It’s encompassed by two glaciers, the Wedgemount and the Armchair. At its deepest point it’s estimated to be around sixty metres deep and five at its shallowest. The lake can only be reached after a steep, seven-kilometre climb which you’ll need some good boots for and the right equipment. Don’t plan on catching your dinner while you’re up there. Recent studies have shown the lake to have no fish life. Why Go? The incredible turquoise waters of Wedgemount Lake are surrounded by some of the most stunning scenery you’ll ever see. It’s comparable with a glacial moonscape. Because of its geographical position the night skies are light pollution free which makes it a great place for overnight star spotting. 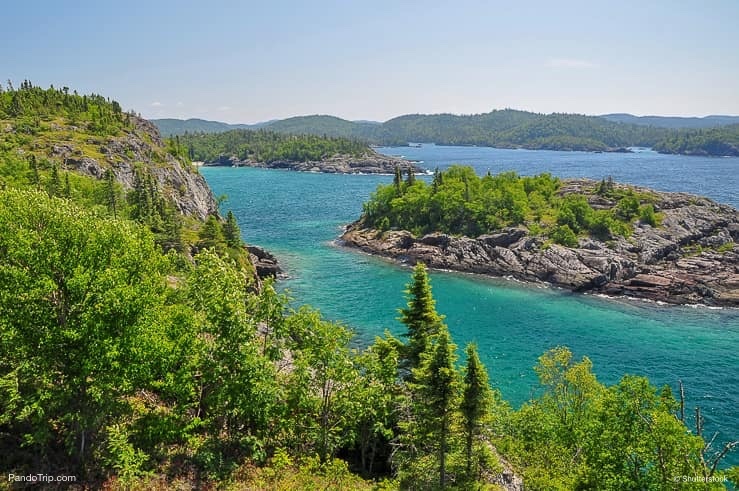 If you’re planning on visiting Lake Superior, don’t think you’ll be able to take a leisurely stroll all the way around its shores. Lake Superior, with a surface area of almost thirty-two thousand square miles, is as big as some countries. It spreads its watery reach from Ontario in the north of Canada, over the border and through several American states. When they named it, they named it right, because it really is superior in many ways. Not only is it the largest of the Great Lakes, it’s also the largest freshwater lake in the world. Surprisingly enough, it only comes in third where the volume of water it holds is concerned. You’ll need some good muscles if you’re considering rowing across it though. It measures a staggering one hundred and sixty plus miles at its widest point. Now that’s some lake. Why Go? While you might not be able to walk around Lake Superior, you can drive around it. It’s a one thousand two hundred mile road trip of a lifetime through national parks with amazing canyons, cliffs, and waterfalls. A definite must do. Berg Lake lies just underneath the highest peak in the Rockies, Mount Robson, which is in the Canadian province of British Columbia. It’s tucked away out of sight at an altitude of just under five and a half thousand feet. The only way to reach it is by hiking through the wilds of Mount Robson Provincial Park. Is it worth the effort? Definitely. The azure waters of Berg Lake are backed by impressive mountains and bordered by pine forests. The landscape and light are a photographers dream. Why Go? Berg Lake is a glacial lake fed by the Berg Glacier. As it is constantly moving, chunks frequently drop off the glacier and into the lake waters to float there like mini icebergs. To get to Berg Lake you need to pass through the incredible Valley of a Thousand Waterfalls which, on its own, is reason enough for making the trip. 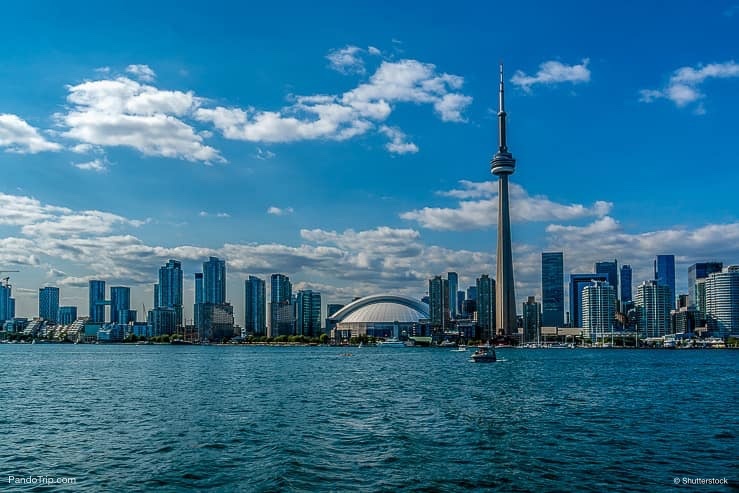 Lake Ontario, in the Canadian province of Ontario, is bordered not just by Canada, but by the US state of New York too. 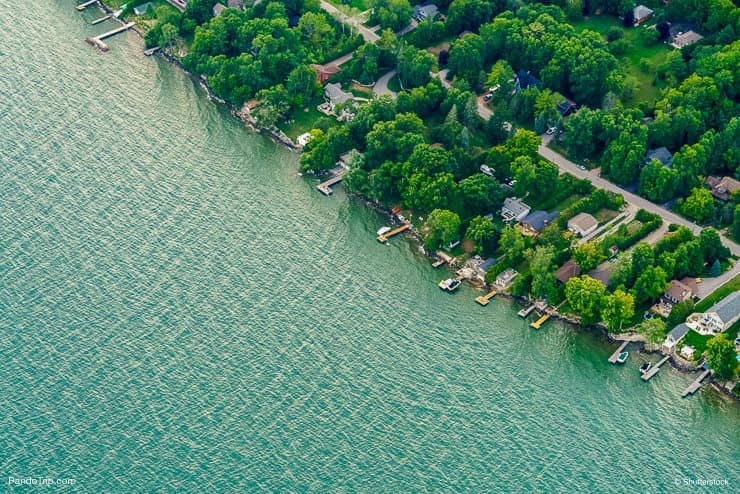 It would be easy to compare Lake Ontario to one big faucet as the lake provides drinking water to over nine million people. That’s a lot of water coming out of the smallest of the Great Lakes every day. It might be diminutive, but what it lacks in superficial square footage it makes up for in depth. Being over eight hundred feet at its deepest point means it holds more water than lakes which are bigger in size. An unusual fact which makes it the fourteenth largest lake in the world. Why Go? Lake Ontario is rimmed with beautiful beaches and cliffs. It’s the perfect place for practicing water sports of every kind. From windsurfing, kayaking and paddle boarding. The bonus? If you fall off you don’t have to worry about swallowing the water, it’s fresh not salt. While you’re there, keep your eyes peeled and see if you can spot Lake Ontario’s monster of the deep, Ogopogo. 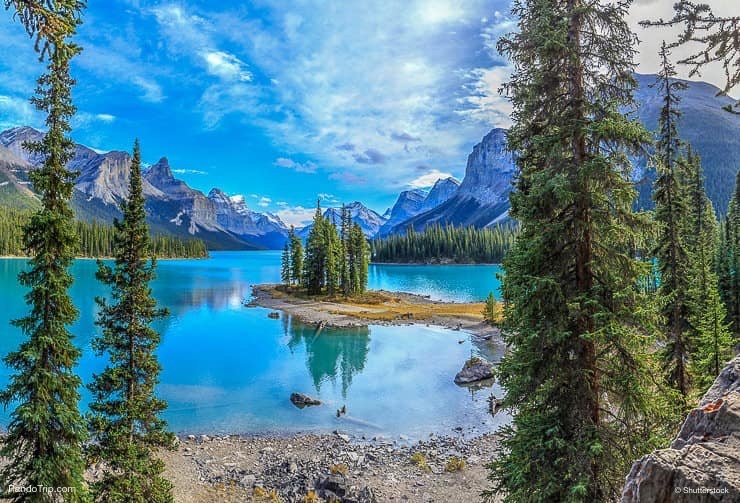 Maligne Lake is a stunning fourteen mile-long stretch of bright blue water at the base of the Maligne Mountains. Part of the Jasper National Park in Alberta, Canada, its glacial waters are on average just over a hundred feet deep in most parts, but in some points plunge down as far as three hundred. It’s forty-five miles of shoreline is bordered with pine forests. It’s also world renowned for the tiny, but much-photographed islet called Spirit Island. Why Go? From on the waters of Lake Maligne it’s actually possible to see all three of the different glaciers which feed the lake. It’s also a great place for sport fishing, with the main catch being rainbow trout, and kayaking and canoeing. So if you have a pioneering spirit, Lake Maligne should be on your bucket list, but keep an eye out for bears, wolves, and caribou. Spotted Lake, in the Similkameen Valley in British Columbia, when full of water isn’t that much to look at. It’s also probably the smallest patch of water to be labeled lake too. It’s just under half a mile long and less than a quarter of a mile wide. Makes you wonder what all the fuss is about, doesn’t it? But when Spotted Lake dries out in the summer months, it becomes one of those weird and wonderful creations of Mother Nature that are just absolutely amazing. The lake’s waters have an exceptionally high mineral content and as they evaporate, they leave behind a strange lunar-like surface full of crystallized pathways and pools. Why go? Spotted Lake was revered as a sacred site by the local indigenous tribes who realized it had amazing medicinal and therapeutic qualities. It also magically changes color as the season progresses and the water evaporation increases. It really is one of those bizarre things which just has to be seen to be believed. Although Abraham Lake, in Alberta, Canada, is called a lake it is, in fact, a man-made reservoir. The twenty mile long stretch of water was created with the construction of the Bighorn Dam in the early nineteen seventies. It’s quite narrow measuring just over two miles at its widest point and with a surface area of around twenty-one square miles it doesn’t show up on any list of the world’s largest lakes. 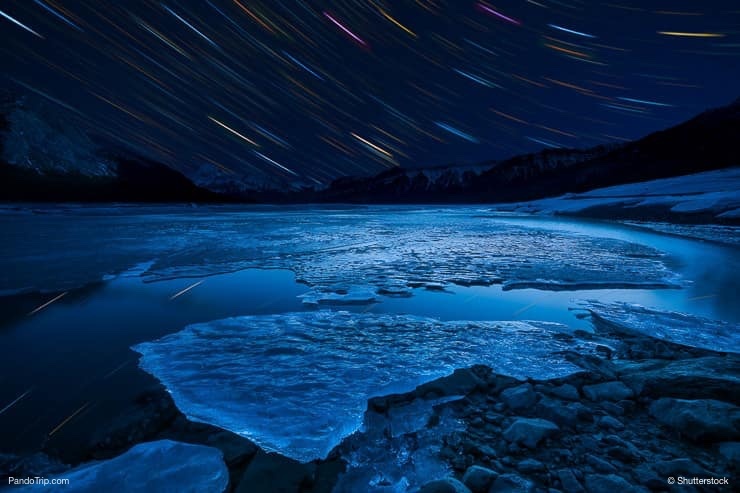 Abraham Lake has become famous for creating its own kind of magic. Why go? During the harsh Canadian winter, Abraham Lake freezes over and as the ice forms it traps bubbles rising from the depths inside it. 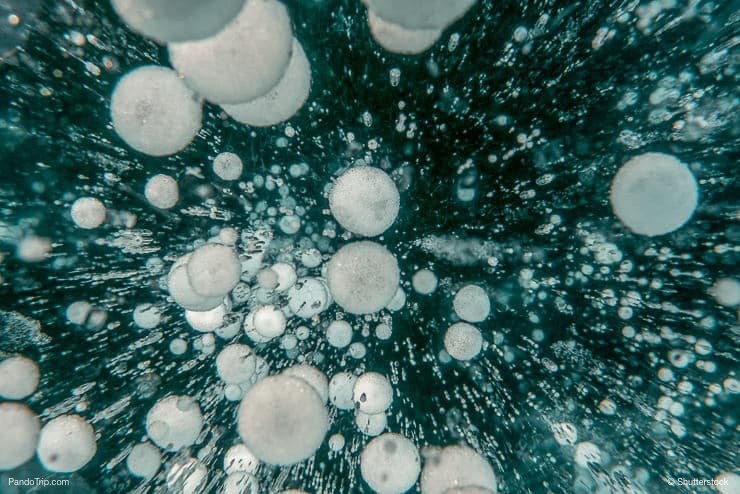 These frozen bubbles are a freak of nature caused by bacteria rotting the underwater vegetation. Getting to Abraham Lake to photograph the bubbles should be on every adventurous photographer’s list of must do’s. The Great Slave Lake, in Canada’s Northwest territories, is ranked as the tenth largest lake in the world. What really sets it apart from other lakes though is its depth. At just over two thousand feet in some parts, it’s the deepest in North America. It’s not a lake you can explore in one day either as it measures an incredible ten and a half thousand square miles, is almost three hundred miles long and its width is over a hundred and twenty miles at the widest point. Yes, it is enormous. Why go? 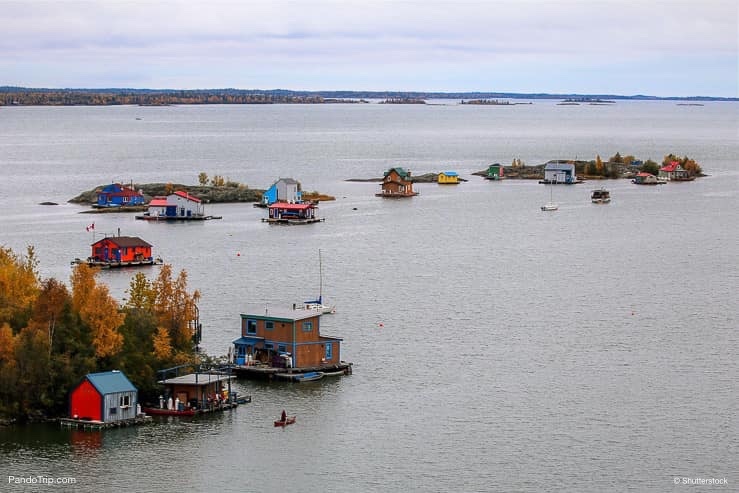 The Great Slave Lake’s remoteness means it’s a part of the world which is pretty much untouched by progress. It really is an unspoilt wilderness which is perfect for kayaking and fishing. Parts of the lake can be frozen over for up to eight months of the year and are cut off from civilization, so be careful when you go or you could be there for much longer than expected. Lake Minnewanka, tucked away in the mountains near the town of Banff in the Banff National Park, is thirteen miles long which makes it the second longest mountain lake in Canada. It’s surrounded by stunning snow-capped mountains and its chilling, glacial blue waters can reach depths of up to five hundred feet. The lake’s volume has also been increased over the years, with water levels rising almost a hundred feet, after dams were built to provide hydro-power to Banff. What’s so special about it? Why go? After the dams were built and Lake Minnewanka’s water levels rose so dramatically, they flooded a small village, Minnewanka Landing, which was on the shoreline. Now completely submerged, it’s become an amazing scuba diving site with a whole abandoned ghost village to explore underwater. If you’re there in the winter, there’s also a chance to go ice diving if you can handle the cold. 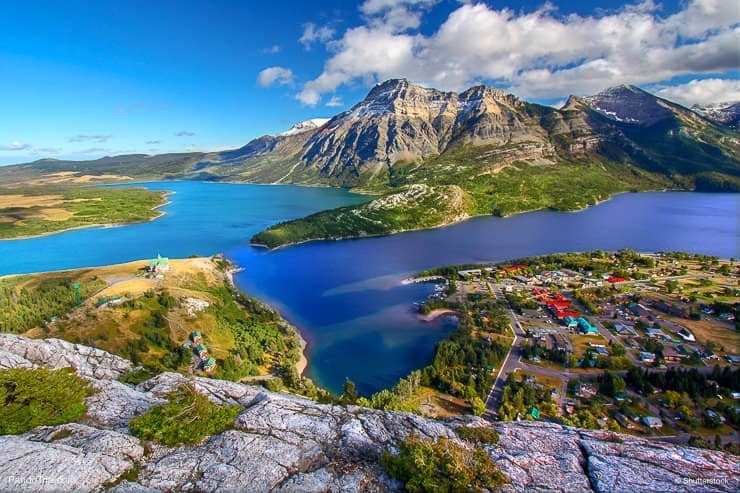 Waterton Lake is a lake with dual nationality. It is located partly in Canada, near Alberta and partly in the US, near Montana. Although it’s split into two distinct parts, upper and lower, it’s joined by the Bosporus channel so is classed as one lake rather than two. 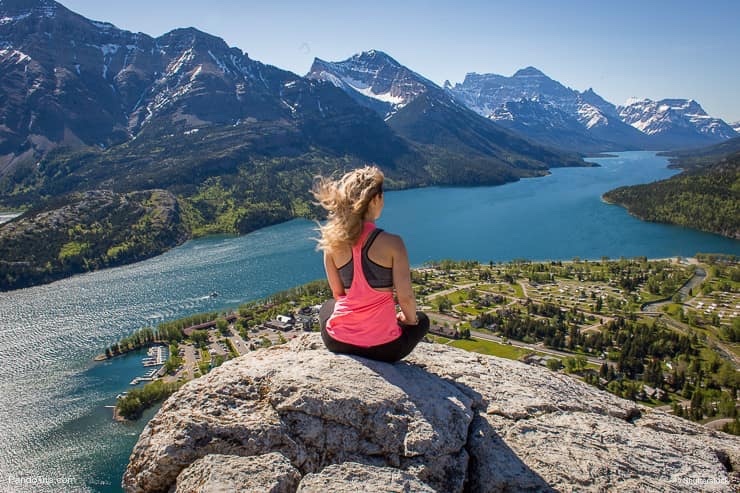 Waterton Lake, at an altitude of over four thousand feet and with a surface area of approximately five square miles, is surrounded by national park lands renowned for their biodiversity. Its waters have an average depth of around two hundred and fifty feet, but this can change to almost five hundred feet in some places. That’s pretty deep. Why go? Waterton Lake is situated in the Waterton Lakes National Park. It’s an environment so uniquely special it’s been classed as a UNESCO World Heritage Site, an International Peace Park, and a Biosphere Reserve. It’s the perfect place to really get back to nature by hiking some of the park’s amazing trails. Though if you do go, make sure you’re bear aware. 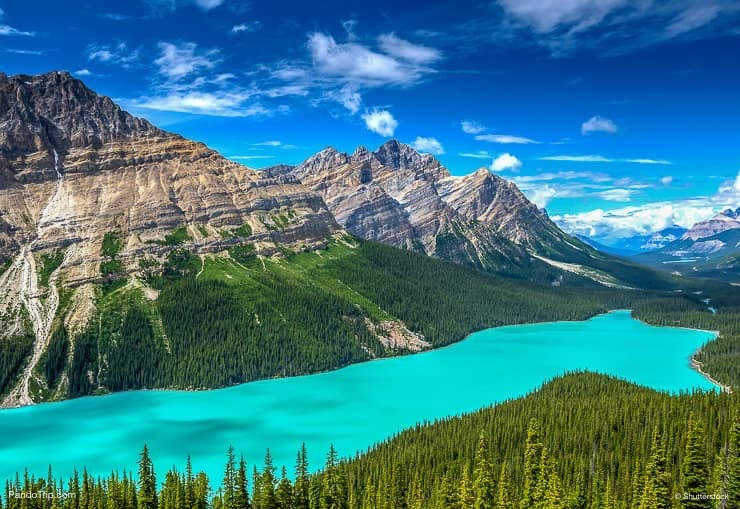 Peyto Lake is another of those stretches of water which will take you by surprise at the startling azure blue color of its waters. 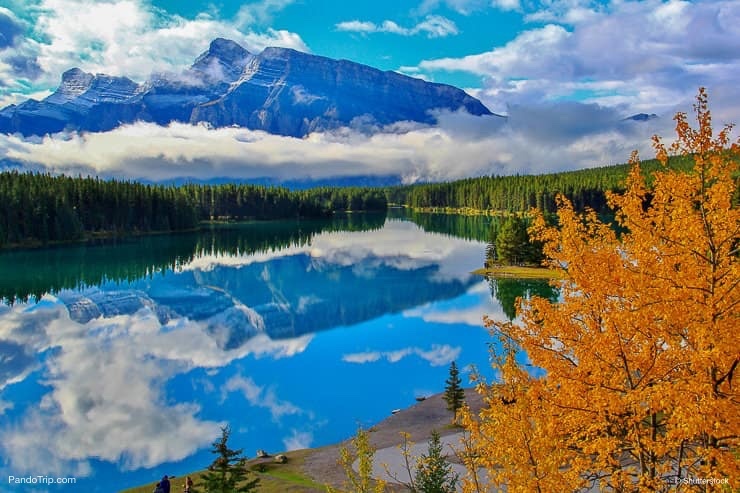 Located high up in the Canadian Rockies at an altitude of over six thousand feet, it is incorporated in the boundaries of the Banff National Park near Alberta. It’s a small, but easily accessed glacial lake which measures just under two miles at its longest point, only half a mile at its widest and has a surface area of two square miles. As far as Canadian lakes go, it’s quite petit. Why go? Even though Peyto Lake is up in the mountains, it’s is relatively easy to get to. Which is great if you’re not the backpacking, trailblazing, hiking type. It means you don’t have to miss out. Peyto Lake can be reached by driving through the Banff National Park on highway 93 or the Icefields Parkway to call it by its other name. Don’t feel guilty for not hiking, the photographs you take will be just as stunningly impressive as if you’d walked. 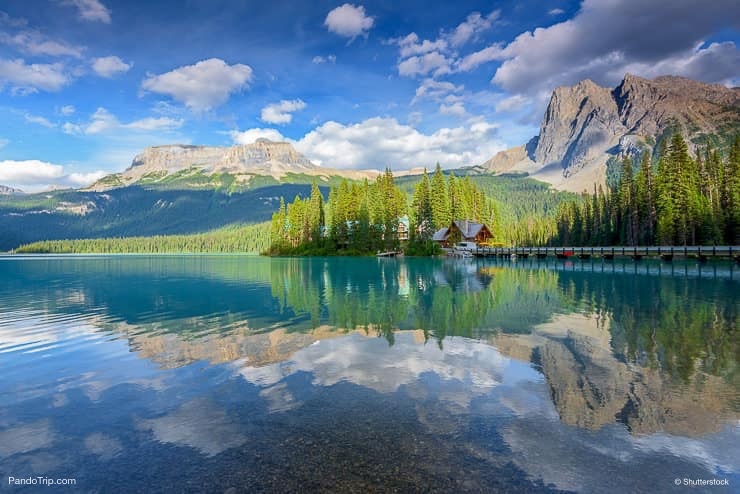 Emerald Lake can be found in the Yoho National Park which is in British Columbia, Canada. The lake really lives up to its name by being a stunning emerald green in color when it’s in its liquid form. High up at an altitude of over four thousand feet, Emerald Lake can remain frozen for periods as long as seven months of the year so don’t plan on going before at least July. 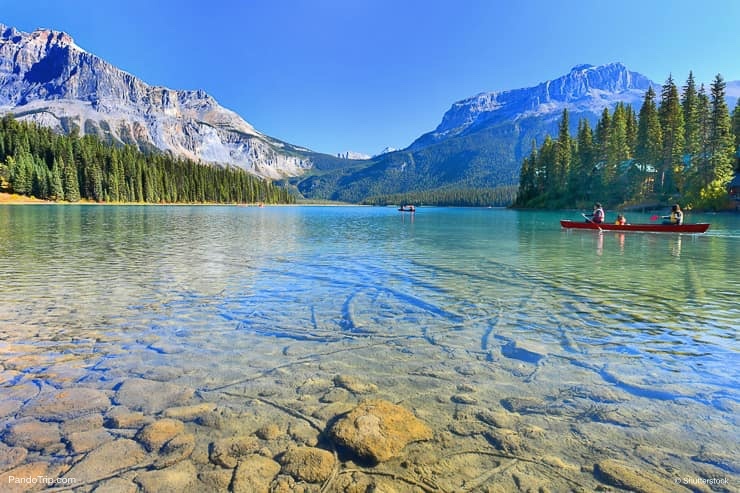 It may be the largest lake in Yoho National Park, but its shoreline only measures just over three miles long and is completely circumvented by a hiking trail which takes around one and a half hours to fully complete. Why go? Emerald Lake is in a quiet and very secluded spot but is easy to get to with a vehicle. It’s a great place for observing eagles and ospreys in their natural habitat while hiking the trail. You can also canoe across the beautiful green and tranquil waters and get a feel of how it might have been for the original indigenous inhabitants of the area. Garibaldi Lake is a large stretch of water geographically located in British Columbia, Canada between the townships of Whistler and Squamish. Its surface area spreads for an amazing two thousand five hundred acres through the Garibaldi Provincial Park, which is a lot of lake. It has an average depth of just under four hundred feet which can plummet down as far as almost nine hundred feet in places. Garibaldi Lake can only be reached by hiking the Garibaldi Lake Trail which is around five and a half miles long. Why go? 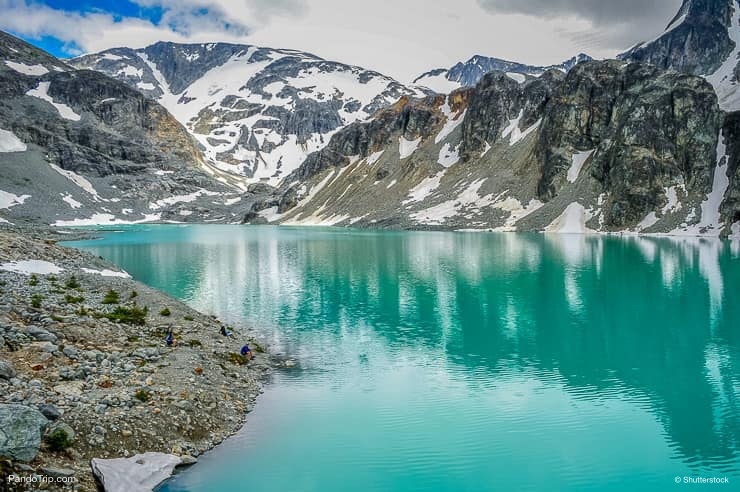 The turquoise waters of Lake Garibaldi are so crystalline, the surface acts like a mirror and reflects super clear images of the surrounding landscapes. Great for photography. If you’re into winter sports like snowshoeing and backcountry skiing then this is a place you really should be aiming to visit. Lake Louise is a glacial lake fed by the Lefroy Glacier and can be found in the Banff National Park, near Alberta, Canada. It’s a small, but stunning lake which measures just over a mile in length, a third of a mile in width and has only a third of a square mile of surface area. With a maximum depth of around two hundred and thirty feet, it’s almost as deep as it is wide. Its close proximity to the small town of Lake Louise has made it a popular tourist attraction. Why go? This is the ideal Canadian lake to visit if you’re unsure of being too far away from civilization. 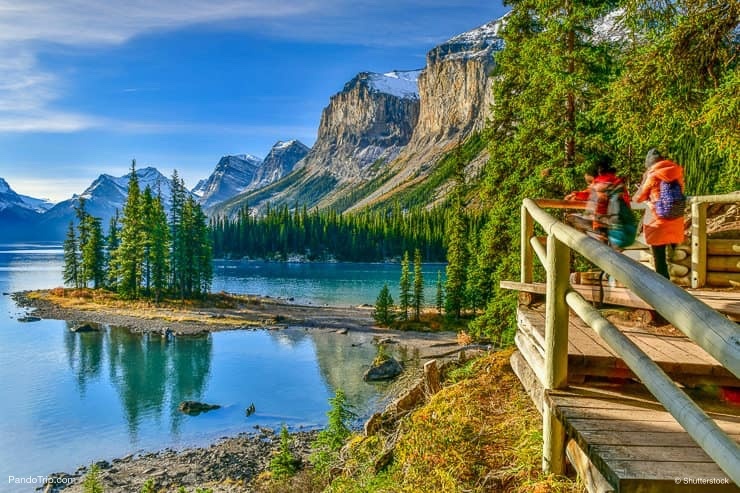 Spend the day wandering around the wilderness of Lake Louise’s shores, enjoy some horse riding through the forests or even rock climbing if you’ve got a head for heights. Then, rather than roughing it at a campsite, spend the night at the Château Lake Louise, the huge and very luxurious hotel built right by the water’s edge. No-one said you couldn’t visit Canadian lakes in style, did they? Moraine Lake nestles in a landscape which looks like the perfect picture postcard image. Pine forests, symmetrical mountain peaks and the lake’s ice blue waters shimmering between them. This impeccable stretch of glacial water is to be found in the Banff National Park, near the township of Lake Louise, in Alberta, Canada. Moraine Lake covers an area of around one hundred and twenty acres in the Valley of Ten Peaks and reaches almost fifty foot in depth in places. Why go? 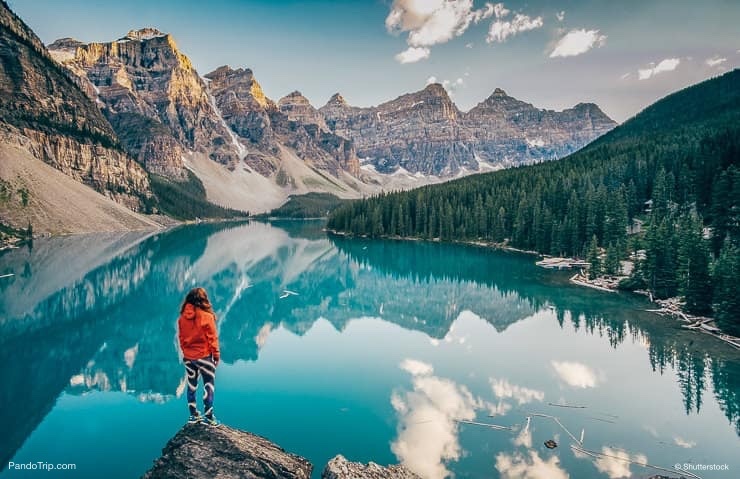 Moraine Lake is one of the most photographed spots in all of Canada. It’s been replicated on everything from paper money to video games and even used as log-in screens for major technology companies. You’ve probably seen it digitally reproduced, so why not go and see the real thing? Believe it, it’s even better live, so make sure you don’t miss out by not going to see it.